Over the years I’ve developed a progression of questions that lead you from your awareness and knowledge about your ancestry and those who came before you, through your childhood and early memories, young adult life, marriage, parenting and family, career, retirement and later life. But a significant piece of what makes this experience special are the more introspective questions I ask such as during which parts of your life you felt most alive? Were there points that you reflect upon in which you now wish you’d made different choices? About your experience parenting and grandparenting, your thoughts about aging and dying, and the greatest challenges you’ve faced. This combination of the linear more chronological trajectory of your life with the more inward looking personal experience is useful to tell your story in deeper and more meaningful ways. Throughout the process, I take care to listen actively, and use follow up questions to clarify and build upon your answers. This is one of my greatest strengths in listening as a stranger and inquiring for greater depth. * Upon scheduling an interview, Loving Legacy Video will provide a long list of sample questions as food for thought. We also provide a ‘Welcome Packet’ with a variety of curated resources we’ve assembled to help you to prepare for this endeavor. 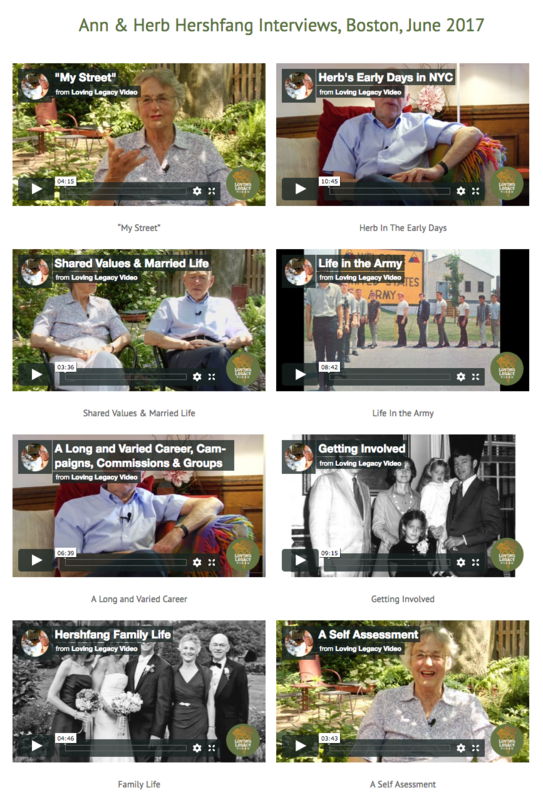 It includes articles written about legacy interviews, example videos from previous clients, thoughtful videos from outside publications for inspiration, and other useful supporting materials. • Before the day of filming, we have an introductory meeting at our office to get to know each other and answer any questions about preparation or otherwise. This meeting can be conducted over the phone or via Skype if preferred. 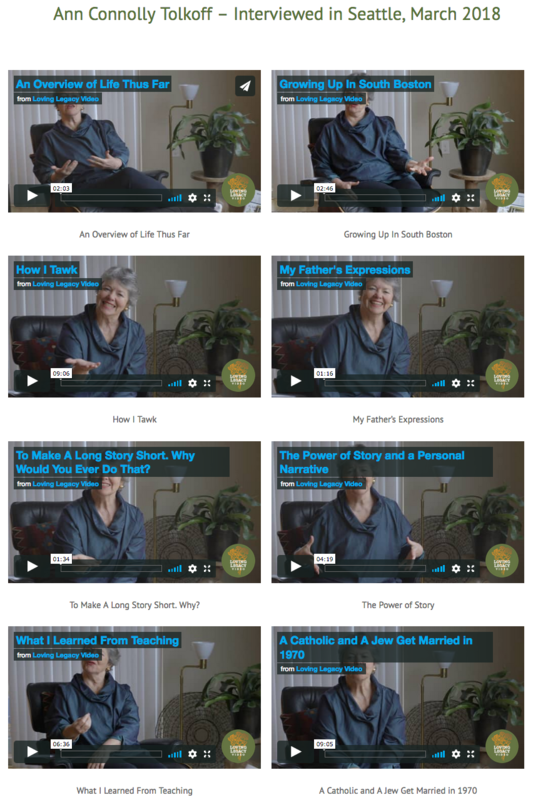 • We provide a list of relevant articles and links to related short videos to help get your memories flowing and assist in your preparation for the interview. The finished product is a page of videos that is easily shareable as publicly or privately as you like, individually or as an entire collection. 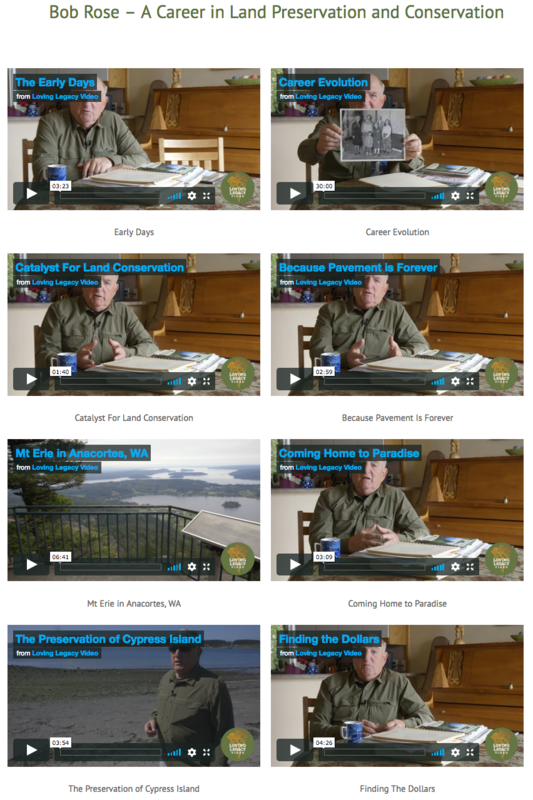 You receive a series of short thematic videos, as well as the the entire full length video.